The lamb we were sent by Graig Farm is truly fabulous. The joints in particular have been a joy; one lamb leg roasted with za’atar and sumac and the other roasted plain. The lamb is as tender as could be, yet full of flavour too. When it came to the turn of the enormous shoulder of lamb, we decided to keep it classic and pair the lamb with garlic and rosemary. This lamb has such wonderful flavour that we knew it would stand up to the two strong flavours without being overwhelmed. Note: Adjust quantities for smaller joints. 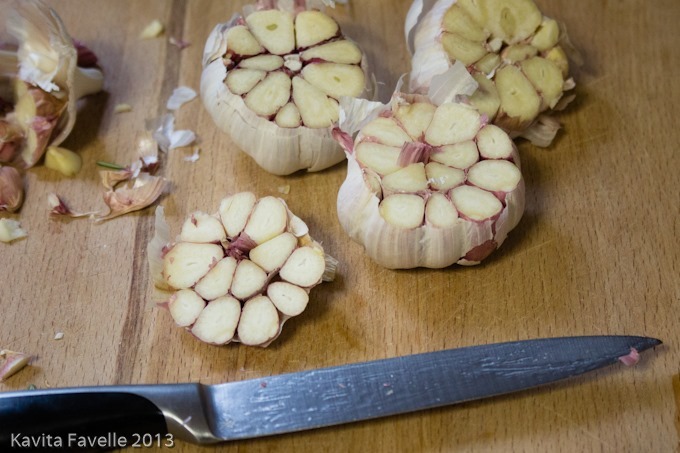 Cut the tops off 3 heads of garlic. Retain the main part of the garlic heads and wrap each one in foil, sealed at the top. Retrieve the pieces of garlic from the tops of the 3 heads and break open the remaining head of garlic and peel all the cloves. 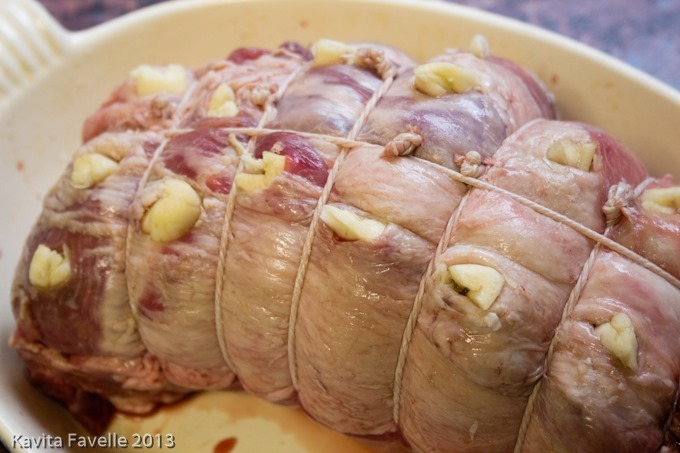 Cut deep slits into the lamb. Push the large chunks of garlic deep into the slits. Tie the rosemary over the joint. Place the foil-wrapped garlic heads in the roasting dish, around the lamb joint. 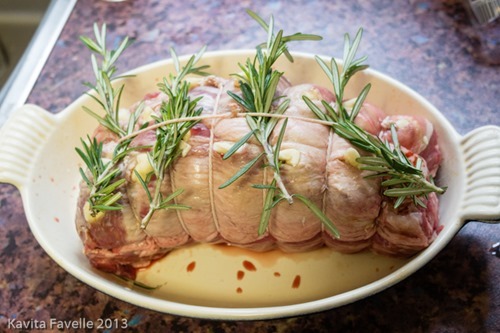 Pop the lamb into the oven to roast. For medium, I give 25 minutes per half kilo plus 25 minutes; for this 1.6 kilo joint, I roasted it for 1 hour and 45 minutes. 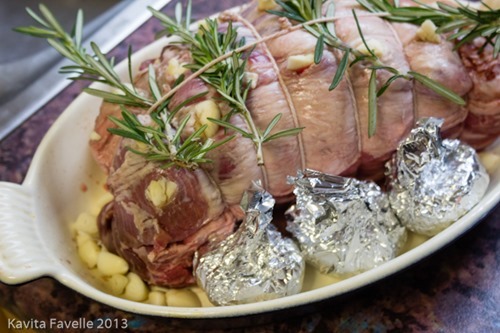 Take the lamb out of the oven, cover loosely with a sheet of foil and leave to rest for about 20 minutes. (We crank up the heat on the roast potatoes for those last 20 minutes). Cook your veg, make your gravy and serve. Tip: Keep the sweet, sweet roasted garlic from the foil-wrapped garlic heads aside to enjoy smeared over toast the next day, stir the roasted garlic into your gravy, or just serve a head per guest and let them squeeze it out and enjoy it with the lamb. 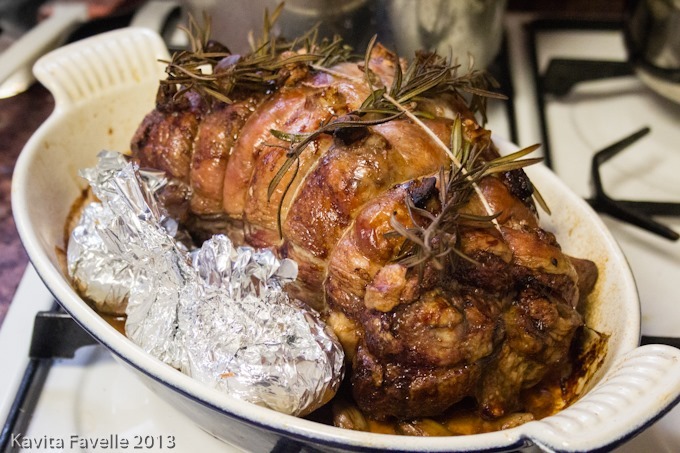 A classic roast dinner that is hard to beat! The code gives you 20% off orders over £50 and also includes free delivery. It’s valid until June 30th 2013 and can be used three times per household. Of course, you can pass the code on to friends and family, if they’d like to place an order for themselves. 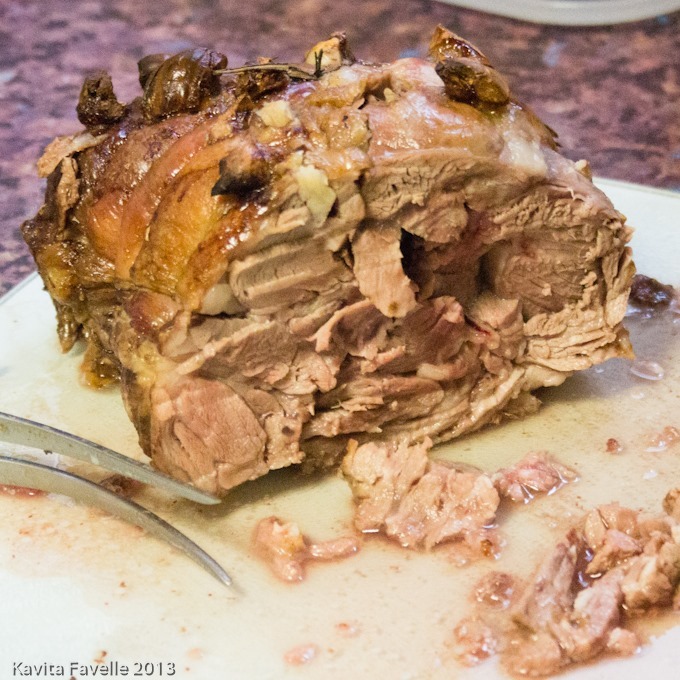 Kavey Eats received a sample box of organic lamb from Graig Farm. 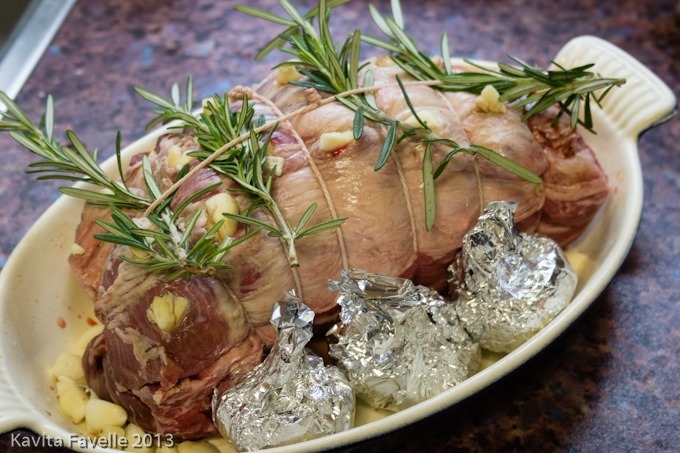 7 Comments to "Time for a Classic: Garlic & Rosemary Roast Lamb"
Wow. Can I come to yours for Sunday lunch please? 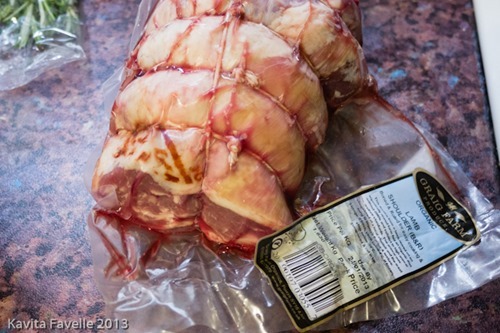 I am happy with medium for lamb when it’s chops etc but for roast it can be cooked a bit more I think… this had some blood still there but not too pink. Was good!